With energy healing and body mind counseling, you can unblock and manifest your dreams. What is Energy Healing and Body Mind Counseling? Energy healing is a form of therapy that uses gentle hands-on touch to open the chakra system and facilitate the natural healing response of the body mind. As a holistic healing modality, body mind counseling uses the art of inquiry between therapist and client to release stuck energy at the emotional, mental, spiritual, energetic, and physical levels resulting in increased awareness and positive health benefits. Energy healing can release disorganized energy and past emotional traumas that become trapped in the body and the energy field. As form follows energy, when energetic flow is disrupted and becomes stagnant or fossilized, dis-ease occurs. 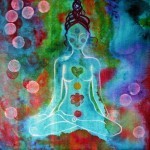 The physical body is a manifestation of the energy body (the chakras and the layers of the energy field). Through energy healing sessions, blocked patterns that become manifest in thought patterns, habits and beliefs can be released and we can be then more fully connected to our body, mind and spirit.